All items are handmade for you — any design may be altered to suit Please send an enquiry for current production times COMING SOON - Hand made silk and tulle luxury veils - not yet shown on site. 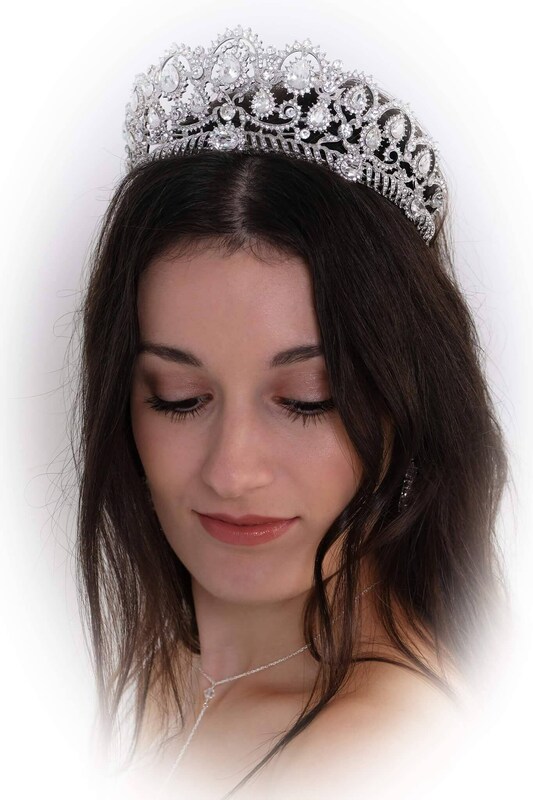 Sparkling tiara finished with Swarovski Crystal elements and finished in silver or rose gold base and with hand set Swarovski crystals in your chosen colour. 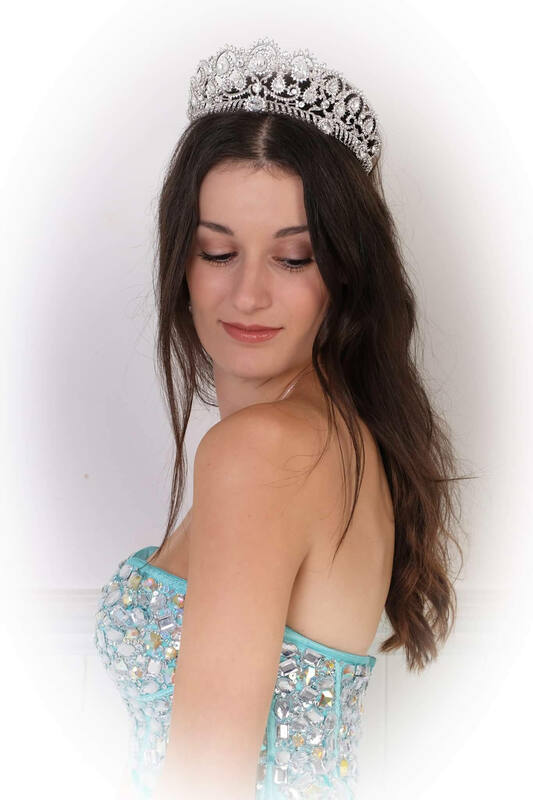 This tiara shines at every angle and the picture really does not show how beautiful this tiara is. I do have a video in my home page to show how sparkly the Swarovski crystals are and they are like diamonds. You really will have a one off unique piece as you have so many colour choices from the Swarovski Crystal colour range. Hand embellished with Swarovski crystals in your chosen colours from the colour chart pictured. The tiara is 2.5” tall and the design runs 12” across, it has loops at the end of the arm to help keep it secure with Kirby grips. The band is a little flexible to allow you to gently mould it to your head. 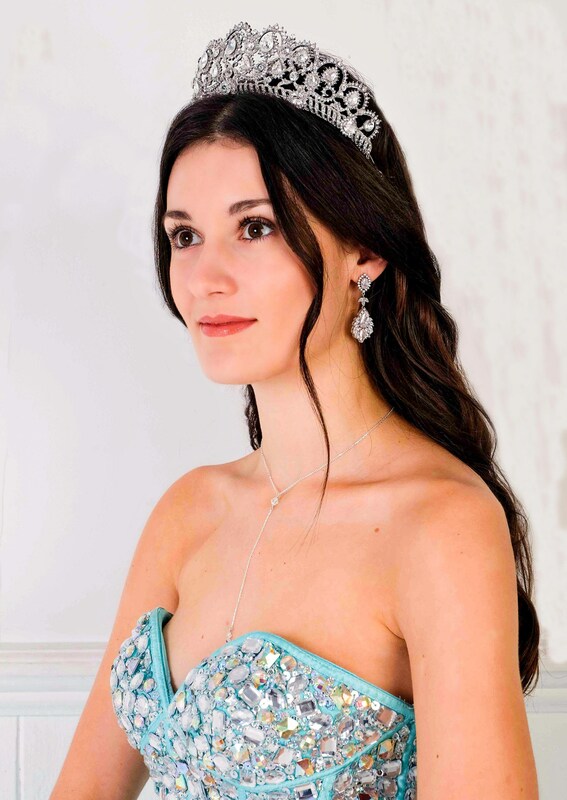 You will certainly feel like a princess for whatever occasion you wear it, wedding, prom, pageant, quinceanera or sweet 16. You will receive your tiara Gift boxed and packaged in tissue paper and tied with ribbon. Choose your colour choice from the colour charts pictured. As with all of the accessories, these are made by hand to order and may vary slightly from the picture but will always be made with love and care and highest craftsmanship. You will not find this item in the shops and, as they are made to order, you can be sure that this item will be truly unique to you. If you require your item sooner, please send me a message and I will try and make your item sooner. Sophia Beau makes all items from a little studio situated in Staffordshire, U.K. All items can be customised to your size and preferred colour and, any design can be altered to fit and suit your style. Please contact with any requests and all design consultations are free. All items are sent in a signature gift box, tied with ribbon and wrapped in acid free tissue paper for safe keeping and to help preserve from tarnishing. I am able to supply bridal outlets and stores. I will gladly assist you with measurements - please feel free to contact if you need advise. I use 9ct gold or .925 Sterling silver chain bought from a certified U.K. Supplier - links supplied on request. Plated metals are also bought from a U.K. Supplier and are nickel free. Plated metals can chip eventually to show the brass colour under. Sterling silver rose gold coloured chains have a .925 Sterling silver core which has been plated over with a rose gold colour. Gold filled chain is more suitable for people with allergies to plated metal and will keep for longer. It is made by taking one or more sheets of solid gold (14K, 12K, 18K, etc) and wrapping them around a base metal under intense pressure. Unlike gold plated jewellery, gold filled jewellery has a commonly measurable amount of actual gold in it. 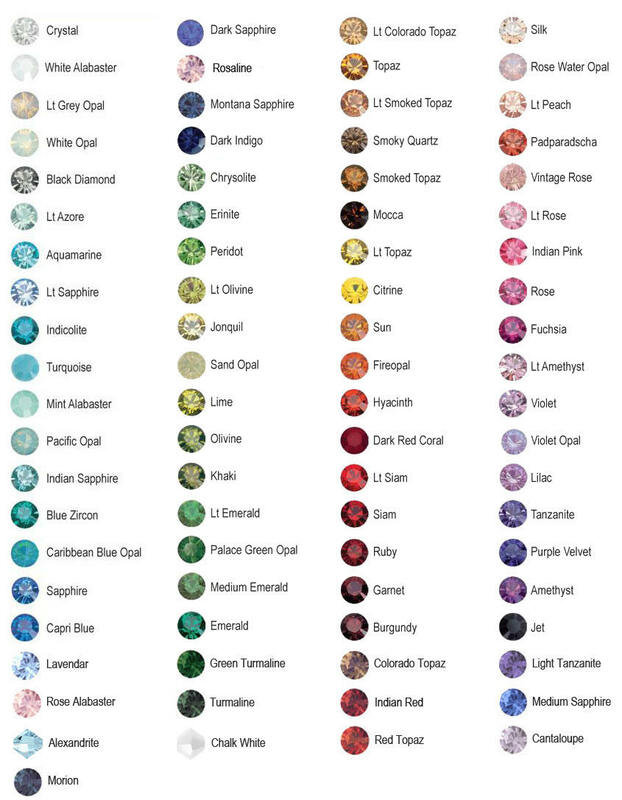 What Crystal and Pearl Colours are available? 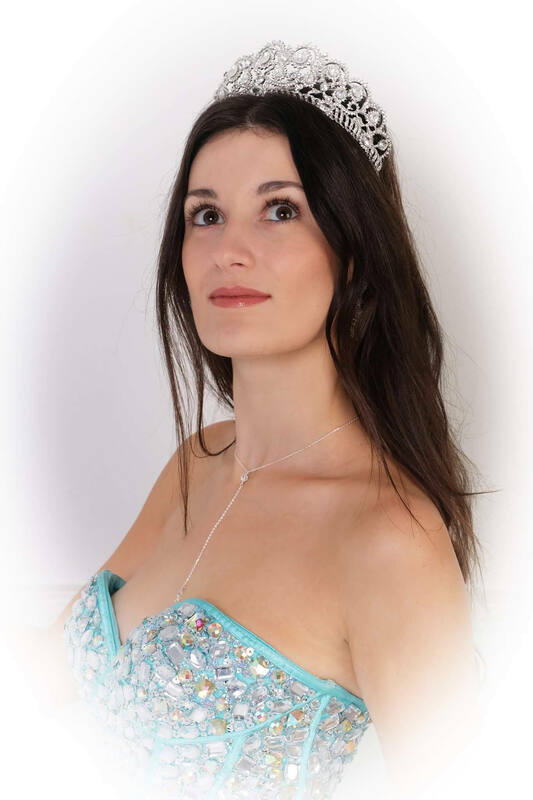 All crystals and pearls used in any Sophia Beau item are from Swarovski and it is possible to make any design using any of the swarovski colours available from their vast colour chart of over 30 - 50 colours. Pearl and crystal samples are available to buy if you would like to see the colours in real life. All freshwater pearls are chosen at a high grade, mostly smooth and some will have small ridges Which add to the beauty of this natural product. The freshwater pearls are an Ivory shade and also available in peacock blue or a blush pink. Unless faulty, I will refund a percentage of the items cost to allow for a re stocking admin charge and original postage cost. The fee shall be approximately 75% refund or a maximum of £5 uk sterling whichever is the maximum to £5. Buyers must pay for return postage. Earrings are classed as an intimate item and are therefore non returnable.